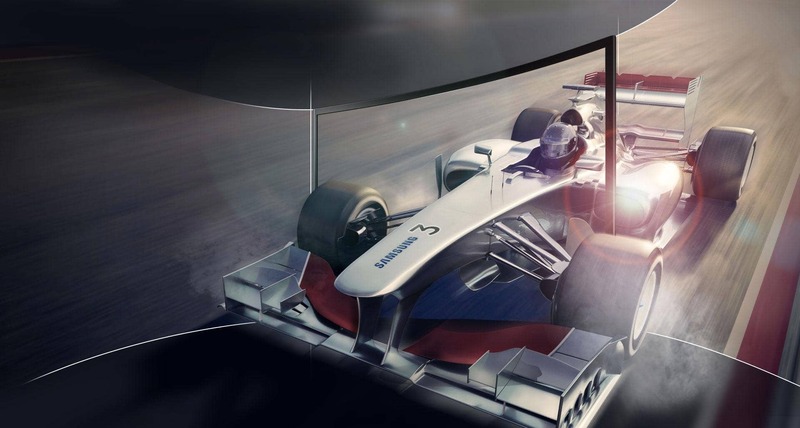 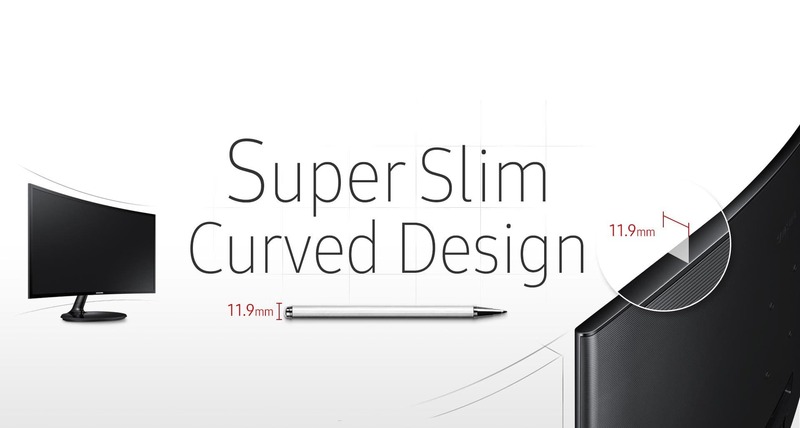 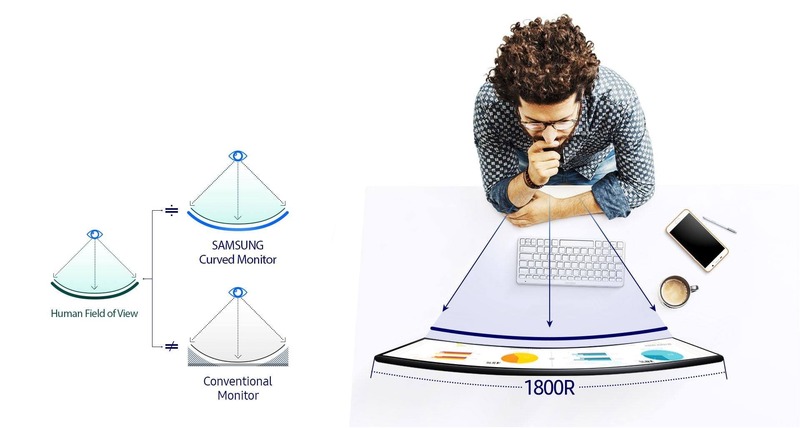 Discover a truly immersive viewing experience with the Samsung monitor curved more deeply than any other. 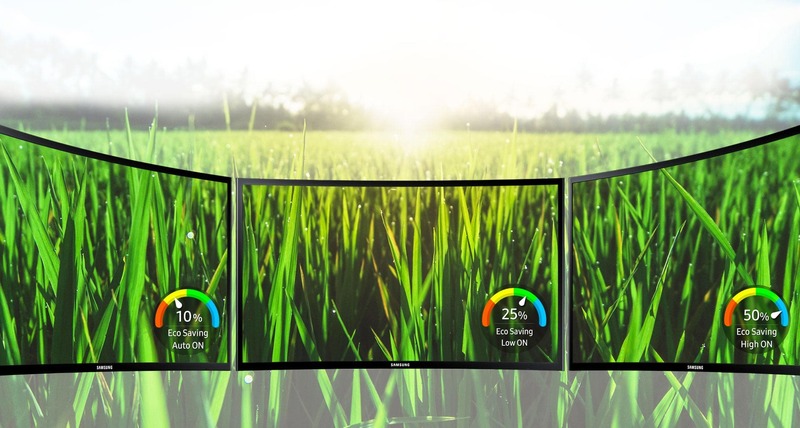 Wrapping around your field of vision like your local iMax theatre screen, the 1800R screen — with its 1800mm radius of arc for greater curvature — creates a wider field of view, enhances depth perception, and minimizes peripheral distractions to draw you deeper into your content. 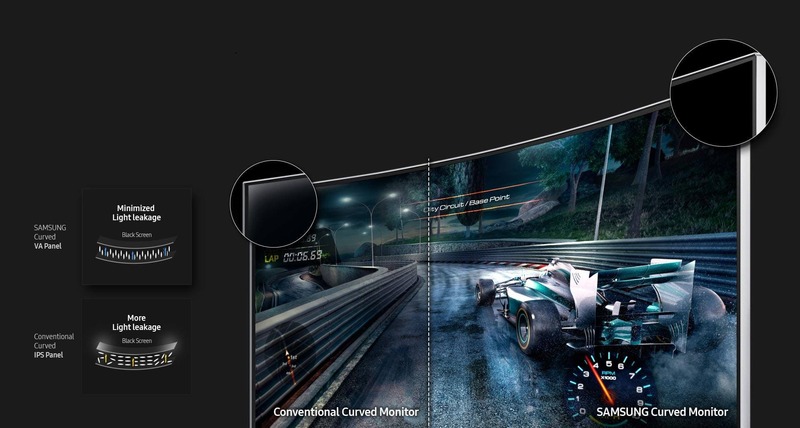 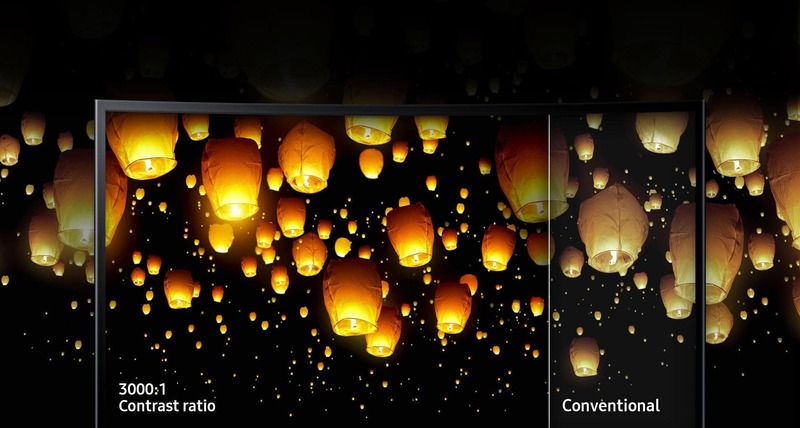 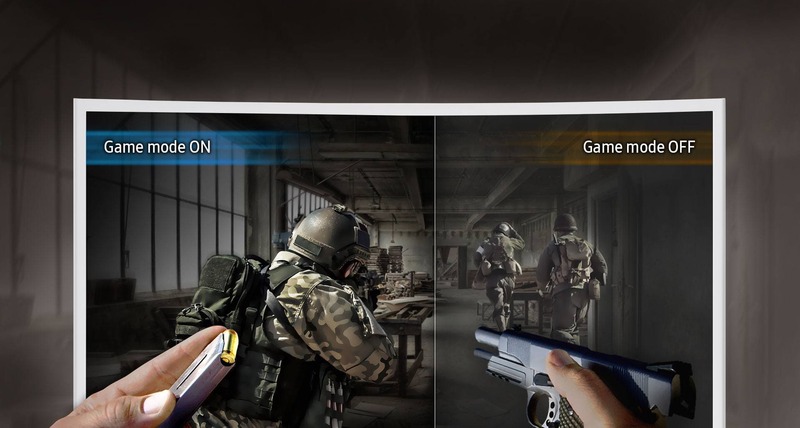 So whether it is an online movie, a favourite TV show, or a pulse-racing game, Samsung’s deeper screen curve will fully immerse you in all your multimedia content. 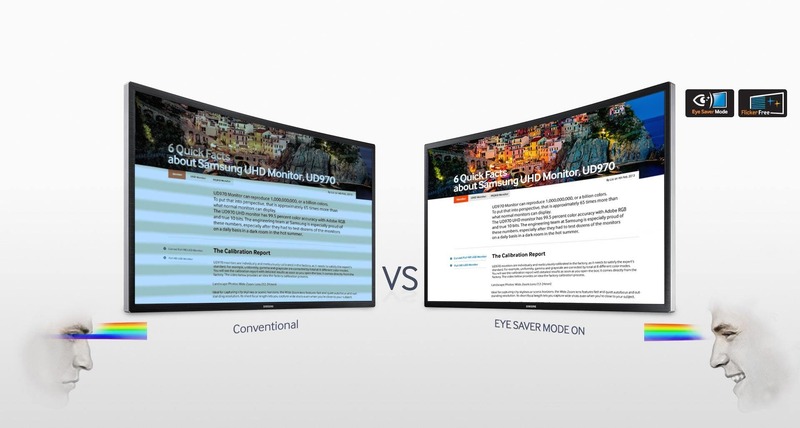 • Eye Saver Mode: By reducing blue light emissions — which stimulate the retina more than other colours — Eye Saver Mode reduces eye fatigue and provides a more comfortable viewing experience.